Dianne Williams-Cox, encouraging survivors that the fight is not over. The month of October is dedicated to raising awareness and educating the community about breast cancer. The Cancer Knockout Foundation celebrated its 5th Annual Survivors Conference Thursday at Capital City Country Club. 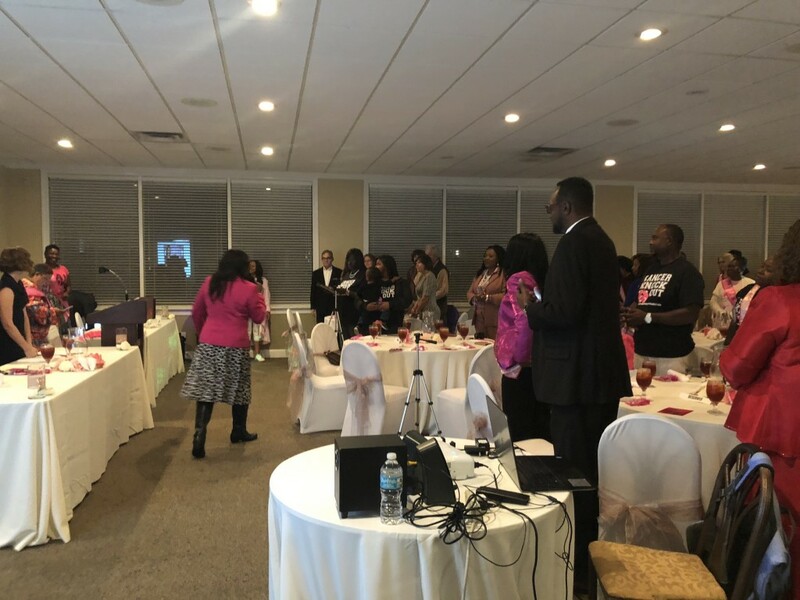 Featured was the inaugural survivors banquet where survivors were honored for overcoming breast cancer or persevering through their ongoing fight. The banquet guest speaker, Aniela McGuinness, a ilm and television actress, shared her story of being a breast cancer survivor. Cancer Knockout Foundation was founded by Towanda Davis, a breast cancer survivor. Dianne Williams-Cox, Davis’ best friend, explained that cancer is not the final word. It’s imperative that women and men need to know that cancer is not the final destination. There are ways to prevent this by knowing your body and knowing what to look for; it is the best way to prevent diseases and to stay healthy. Shonda Davis, the mistress of ceremonies, won her fight against breast cancer. This event was her time to connect with other survivors and give hope to those who are continuing their fight. The event also provided a free dinner to breast cancer survivors.